1. The Obama administration threatened the City of Richmond over its groundbreaking anti-foreclosure program, saying it will choke off mortgage lending in the city if it goes forward with its plan to use eminent domain to help homeowners stay in their homes, the LA Times$ reports. The warning by the Federal Housing Finance Agency also is designed to scare off other cities from following Richmond’s lead. Last month, Richmond became the first municipality in the nation to adopt a program in which the city plans to seize mortgages of homeowners who are badly underwater and refinance the mortgages so that people don’t lose their homes to foreclosure. Big banks, however, adamantly oppose the plan and sued earlier this week to block it. 2. 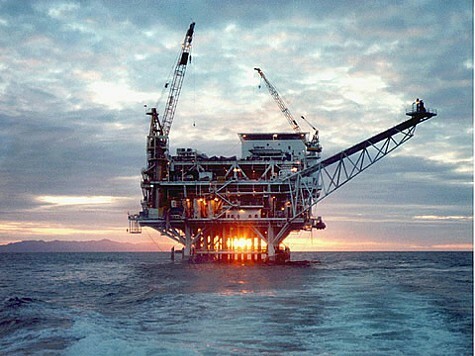 A group of California legislators have asked the federal government to investigate the use of fracking in offshore oil drilling, the AP reports. The request follows an investigative report last week by the AP, revealing that oil companies have been using toxic chemicals to frack underwater wells with virtually no oversight from federal authorities. 3. Two influential water districts that represent big agribusiness in the San Joaquin Valley have sued the federal government over its plan to release freshwater from Trinity Dam in Northern California to prevent a massive salmon die-off in the Klamath River. The Chron$ reports that Westlands Water District and San Luis & Delta-Mendota Water Authority claim that the water release plan illegally diverts water that is supposed to go to agriculture. Environmentalists, however, contend that untold numbers of salmon will perish in the Klamath without the water. 4. A Montclair district banker pleaded guilty in Alameda County Superior Court to ripping off elderly clients and agreed to serve twelve years in prison, SFGate reports. The Oakland banker, Linda Foss, also used to be the president of the Montclair Village Association.